Virgin Atlantic Airways Delayed or Cancelled - Know your rights! Virgin Atlantic is a British airline based in Crawley, near Gatwick Airport. 29 worldwide destination airports are reached by the airline using a fleet of 39 aircraft. Billionaire Richard Branson has been with it since its inception in 1984 and, while Virgin Atlantic is one of the more punctual UK airlines, passengers travelling with them suffer delays and cancellations. 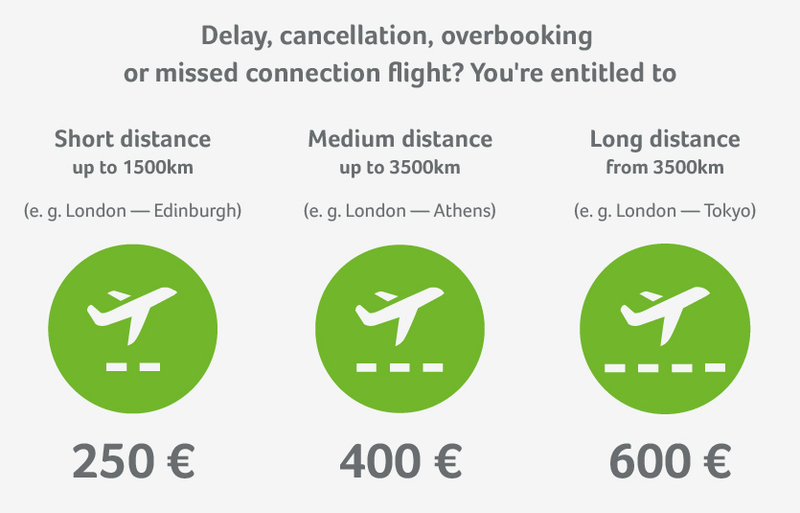 Under what conditions does your delayed flight qualify for compensation? When the delay reaches over 5 hours, you become entitled to withdraw from your flight. The airline then has an obligation to either reimburse you or offer you an alternative transportation method. You’re eligible for a stay in a hotel, with transport to and from the hotel included. Contact the airline directly and request confirmation of your hotel room and transfers to be provided in writing. Important: Don’t take any excuses! Vouchers for food and drinks or hotels don’t nullify Virgin's responsibility to compensate you. Thanks to our expertise, we enforce compensation claims against airlines with a very high success rate. This enables us to promise a completely free service if your case is unsuccessful! Virgin Atlantic’s main hubs are at London’s Heathrow and Gatwick, and the airline operates to 29 destinations worldwide, offering three different travel classes - economy, premium economy and upper class. Virgin transported 5.4 million customer in 2016. In 2016 Virgin Atlantic did a pretty good job in ensuring that their flights were punctual.They performed better than a number of their competing airlines, perhaps due to the fact that they run a smaller operation in the UK than most. Virgin Airlines do not ignore passengers claims to compensation for flight disruption. They do, however, take longer than they should to issue the money. Flightright has had to take proceedings to court on occasion to secure the payment. Virgin Atlantic allows online check-in up to 24 hours before your flight and as close as 70 minutes to takeoff. You can check-in at the airport but this is not the most efficient method and checking in before you get to the airport is always recommended. Another option comes in the form of the Virgin Atlantic app, which will allow check-in as well as providing you with flight updates. More information about Virgin Atlantic can be found here. Copyright © 2009-2019 Flightright GmbH. All rights reserved.